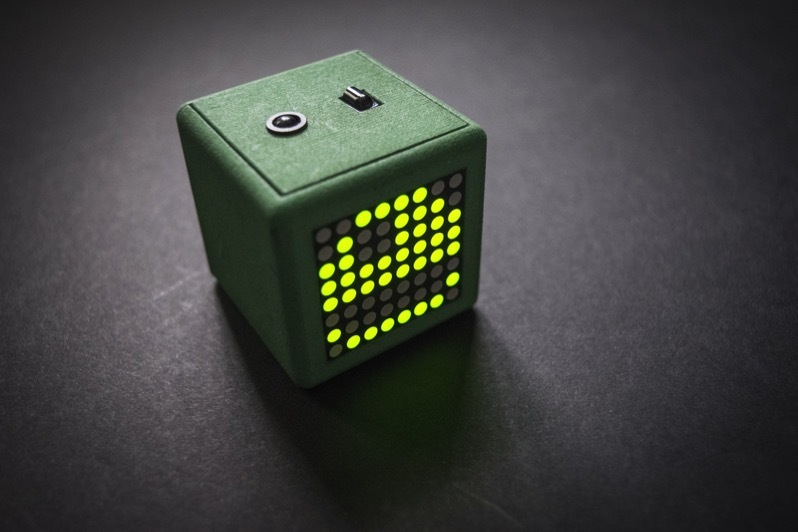 NEW GUIDE: Adafriend the Virtual Pet Cube #AdafruitLearningSystem « Adafruit Industries – Makers, hackers, artists, designers and engineers! In this Pro Trinket powered project, build and 3D print yourself a friend, an Adafriend! This little colorful guy with an eye responds to taps and vibrations, and shows emotion on its little LED matrix front with a sad, neutral, happy, or angry face. It gazes around at its environment and blinks, plays spontaneous tones and patterns that correspond to it’s emotional state, and even sings some recognizable tunes and themes when it’s in the mood! If left alone for too long it gets lonely, but pester your pet too much and it may get angry at you! Build yourself an Adafriend and keep it happy to sing along with the coolest little cube around!